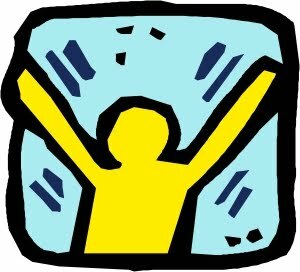 "Wise Talk for Familes" event, Saturday, February 19th. 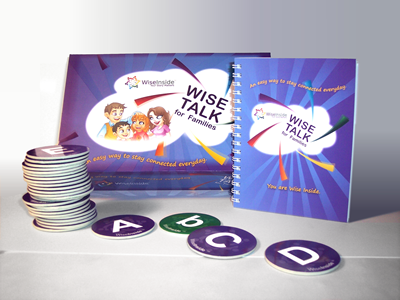 Florey's Books welcomes Heather Criswell, creator of the game "Wise Talk for Families". Your child knows how much you love him! Wise Talk connects you wisdom with words, so your child can know who you really are, what matters to you, and how much you love him. She knows you'll always be there for her! Because you lead a busy life, you need a daily Wise Talk routine that connects your family in a matter of minutes. You know you're doing a great job! With your favorite little person and the Wise Talk book of engaging questions by your side, you are the parent you want to be." Ms. Criswell will demonstrate and discuss the game. We hope to see you! Each Friday during February, Florey's Books will host a featured poet. They will read some of their work, and then a discussion period will follow. All events are open to the public and free of charge. Giancarlo Campagna, who curates a quarterly reading series at My Corner Café in San Francisco, is a poet and actor and recent member of the Revolutionary Poets Brigade. His works can be found in Street Sheet, El Tecolote, The Haight Ashbury Literary Journal, and various other Bay Area publications. A former long-time Pacifica resident who currently lives in San Francisco, Campagna has taught creative writing and poetry to both primary grade students and college students. As an actor, Campagna lists his role as Daniel Berrigan, SJ, in the play, "The Trial of the Catonsville Nine" as transformative. He additionally highlights his journey as a member of a human rights delegation to document the condition of Lomas del Poleo, a small community on the outskirts of Ciudad de Juarez, Mexico — as one of his life's pivotal moments. Sister Patricia Ryan said that like all poets, she writes from within her unique life-world, the context from within which her poetic voice and consciousness emerge — it is not the usual combination of influences. A native of the San Francisco Bay Area, with family roots in the Pacific Northwest and a deep love for her Irish heritage — her poetry evokes, re-presents, closely observes and reflects on these particular bioregions and these are the landscapes the reader meets in her poems. Also a violinist, the chemistry major with an English minor has been a Roman Catholic Sister of Mercy for more than fifty years. As such she taught math, science, religion, and fine arts appreciation in secondary schools for many years. Pacifican Jim McGarry has been teaching high school religious studies for the past 30 years. Currently at Mercy High School in San Francisco, he specializes in Holocaust Studies and Environmental Justice programs. With poet Giancarlo Campagna, he organizes a series at Mercy, "Readings for Peace in Palestine and Israel." Jim has read poems previously at San Francisco's Bird & Beckett and in the Friday night series, "Poetry and Pizza" at Escape from New York, also in San Francisco. A 26-year resident of Pacifica, poet Paul Totah has taught English at St. Ignatius College Preparatory for 25 years and now serves as the school's director of communications. His poetry has appeared in Isotope, in The Vineyard, in the Pacifica Tribune and in Genesis V magazine. He is the author of "Spiritus Magis: 150 Years of St. Ignatius College Preparatory." Additionally he co-wrote, with Patricia F. Carpenter, "The San Francisco Fair: Treasure Island 1939-1940." Along with fellow Pacifican Jim McGarry, Totah is the co-founder of the Nature/Nexus program at SI and he also serves on the Good Shepherd Parish Council. Florey's Wins Renovation Project! Reception Tonight! Florey's Books has been named the winner of Wells Fargo's small business storefront renovation contest. The bookstore, located at 2120 Palmetto Drive, now has brand new outside and inside signage, furniture, decorations and a dedicated sitting section for children to read. The improvements were made possible by Wells Fargo's storefront renovation project aimed to help local small businesses succeed. A reception to honor Florey's Bookstore along with two other small businesses that were named runner ups will be held on Wednesday, January 26 at the bookstore from 6 to 8 p.m. The renovation team was led by volunteers at Philanthropy by Design and George Sun, an instructor at the College of San Mateo. Sun's architectural students worked on the renovation as a class project to gain practical experience. The team had a budget of $3,000 to renovate three small local businesses including Rosa Marina Beauty Salon in San Francisco and InsMall Financial and Insurance Service in Daly City. "Wells Fargo is proud to hold this innovative contest that mobilizes the community to work together and help our local small businesses," said Wendy Haller, Wells Fargo's Mission Coastal regional president. Edwin Ng and Eric Young, District Managers from Wells Fargo's Mission Coastal Market served as judges. Ng added, "Through this effort, we're all doing a part in helping our local small businesses succeed." 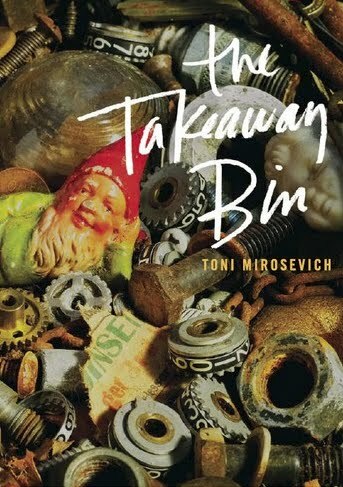 Florey's Books invites you to meet local poet Toni Mirosevich as she discusses her new poetry collection: "The Takeaway Bin". Toni Mirosevich is the author of a book of nonfiction stories, Pink Harvest, three collections of poetry, My Oblique Strategies, Queer Street, and The Rooms We Make Our Own. She is a Professor of Creative Writing at San Francisco State University, and former Associate Director of the Poetry Center and American Poetry Archives. She lives with her wife, Shotsy Faust, in Pacifica, California. Florey's would also like to invite you to the January meeting of the Pacifica Poetry Forum. Come read, discuss, share, and enjoy local poets. Open to the public.